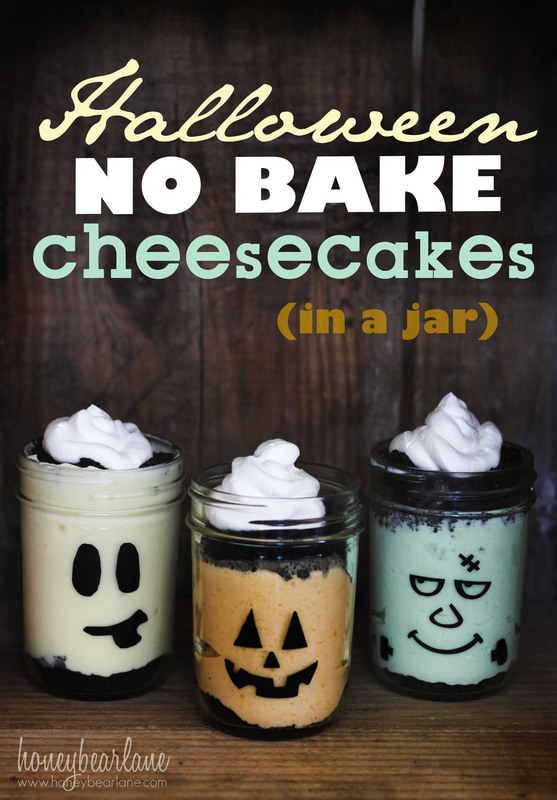 I thought it would be fun to dress up some no bake cheesecake–Halloween style! This cheesecake comes in pumpkin, vanilla, and pistachio flavors (I gotta be honest–the pistachio was my fave) and are a little more like cheesecake mousse. But my hubby hates pudding so I called it cheesecake to get him to eat it. And he did and he loved it! These no bake cheesecake desserts are fun and easy and very delectable! I even cutout some vinyl with my Silhouette to stick on the jars for the faces of a Jack-o-lantern, ghost, and Frankenstein! I used this font Punkinhead for the pumpkin and ghost face and purchased a frankenstein from the Silhouette store. This recipe makes three flavors: pumpkin, vanilla, and pistachio. 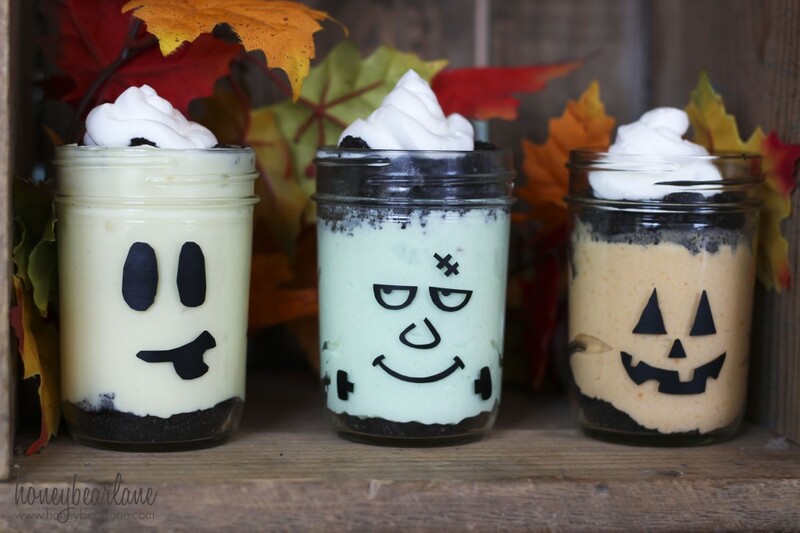 Pumpkin can be used for a pumpkin jar, vanilla for a ghost, and pistachio for Frankenstein! Mix the yogurt, cream cheese, and sugar with a mixer. You can add a little more sugar if you'd like it sweeter. Then divide the mixture into three bowls and add one box of pudding to each bowl, one box per bowl. Then add a little milk to each mixture, adding a little at a time, depending on how thick you want it. Then add the pumpkin puree to the butterscotch pudding bowl. Whip each bowl until it's smooth. 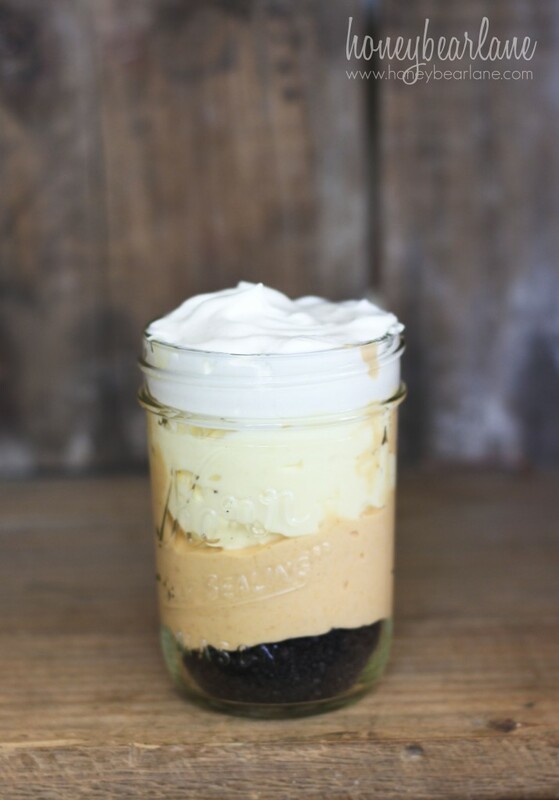 Put some oreo crumbs in the bottom of the jar and then spoon in the cheesecake mousse. Top with whipped cream. For the frankenstein, put the oreo crumbs on the top of the cheesecake mousse for the hair. Refrigerate for at least ½ hour or later until ready to eat. These are fun to do differently as well. I stacked the pumpkin and vanilla with whipped cream and made a candy corn one! 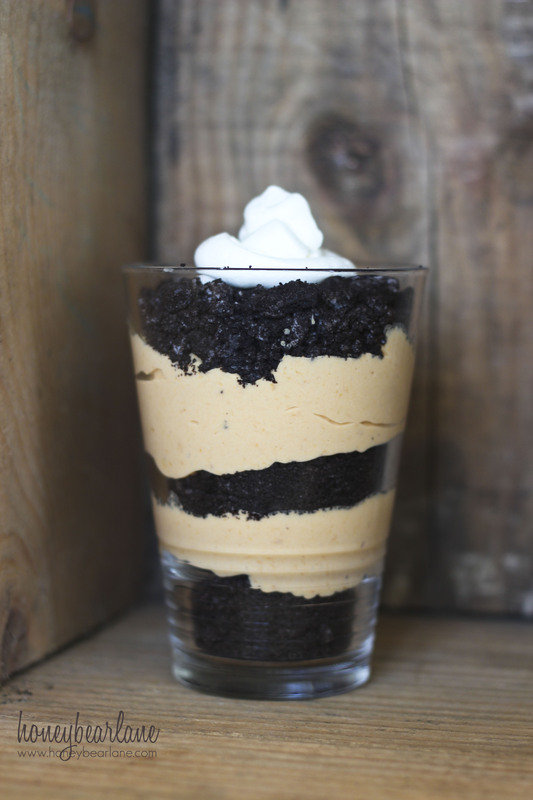 And then I layered Oreo and pumpkin for a delish Oreo-Pumpkin cheesecake! Try it out! The possibilities are endless. And if you are looking for more Halloween treat inspiration, here are seven spooky treats for you! These are simply adorable and look delish! I better start saving more mason jars. These will make perfect party deserts! Thanks Sandra!! I got my jars at Walmart in a set, they are the mini kind which is perfect for desserts (or deserts) or drinks at a party! Thanks so much! Happy 50th! Forgot to rate! 5 STARS for you!!! I’m so disappointed in Aaron for not liking cheesecake. How is that possible? But this is a really cute idea. Very festive! They look so yummy, Heidi! I love the little faces on the jars, too!